Jennifer S. Alderson's Blog - Posts Tagged "art"
Proof copies of The Lover's Portrait are in the house! Simply blown away to see The Lover's Portrait is now listed as the #3 Art Mystery on Amazon, out of 17,925 books!!!! Thanks again to all those who've pre-ordered it already! Today is your last chance to win 1 of two PROOF paperback copies here on Goodreads...don't miss it! Paperback and eBook released worldwide on June, 24th... thanks for all of your support! Guest on Mysteristas this weekend! I'm thrilled to be a guest on Mysteristas this weekend! My post is about archival research in fiction. Let me know what you think about it here or in the comments on their site, I appreciate it! Another great 5 star review for Lover's Portrait! I'm absolutely thrilled to see that The Lover's Portrait: An Art Mystery is currently the no. 3 Art Mystery on Amazon - out of 75,000 books! I'm also pleased to see this wonderful 5 star review by Goodreads member Anne Janzer on Amazon! Reviews really do help others discover new books. Thank you, Anne Janzer and all the other lovely people who've reviewed my books, for taking the time to do so! 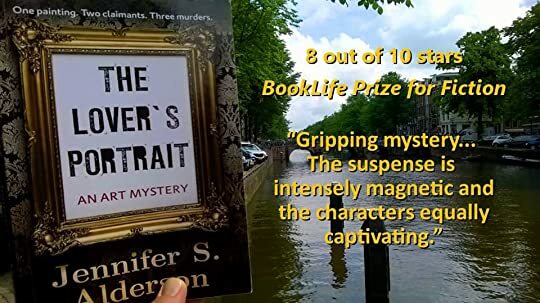 "The Lover’s Portrait is an intricate and well-written story, prefaced with the welcoming, culture-loving face of modern Amsterdam, and underlaid by the city’s wartime past—a past that rises like the tide to infiltrate Zelda’s research assignment. Jennifer S. Alderson is particularly adept at sketching in the complex connections between her characters’ pasts and their present-day actions and motivations, pulling the whole together in a fast-paced and credible plot that is supported by the detail of Zelda’s experiences as she tries to piece together the scattered shards of history. 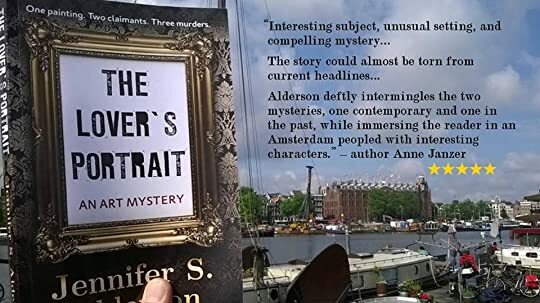 I can absolutely recommend this book to any fans of mystery or art looking for their next read – it will not disappoint. I just noticed that this review was written and posted to Goodreads by fellow Goodreads member J.C. Steel - I really appreciate your wonderfully detailed review! !